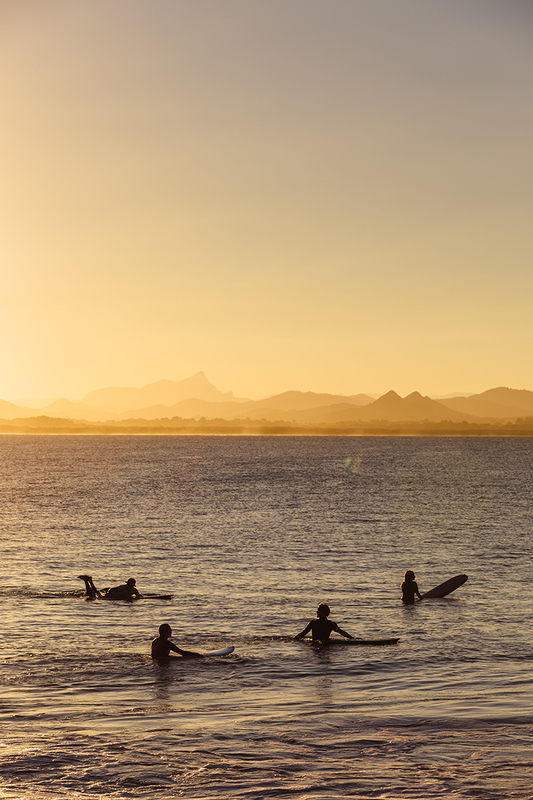 Melissa Findley shows us where to seek adventure just a few hours outside of Brisbane. Grab your wheels, your adventure side-kick and hit up these spots this spring. A not so hidden secret. Once a local hidden gem, the cat is now out of the bag with this waterfall. And it’s easy to see why – the perfect place to spend the day under the constant stream of water flowing from Emigrant Creek. Take a short hilly stroll from the car park through the bushland to the base of the waterfall. BYO picnic food, H2O and swimmers. Remember to leave only footprints. Quick Tip: Around this time of year, if you arrive late afternoon you’ll see the sun bursting through the trees catching in the mist spraying off the falls. It's magic. Get a whiff of those negative ions. I promise after a day under the waterfalls you will leave feeling recharged. It's the most eastern point and my favourite place in Australia. It is just easier to breathe here. There is nothing quite like the energy of the land and the ocean. You can park right at The Pass and be on the beach within minutes. Paradise. The Pass is the perfect place to spend the day no matter the season. You can snorkel around the rocks, spot migrating whales, see many pods of dolphins playing and watch the local surfers well into the evening. 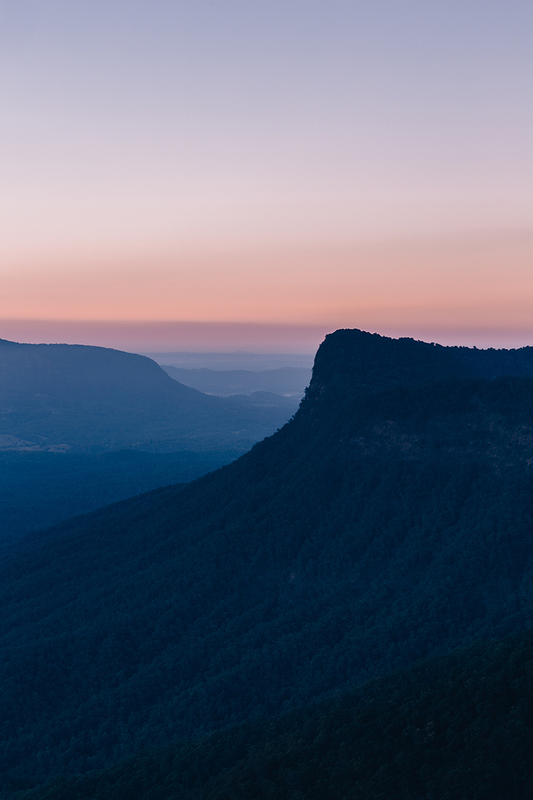 As the sun dips down over the stunning backdrop, the rolling layers of the hinterland. 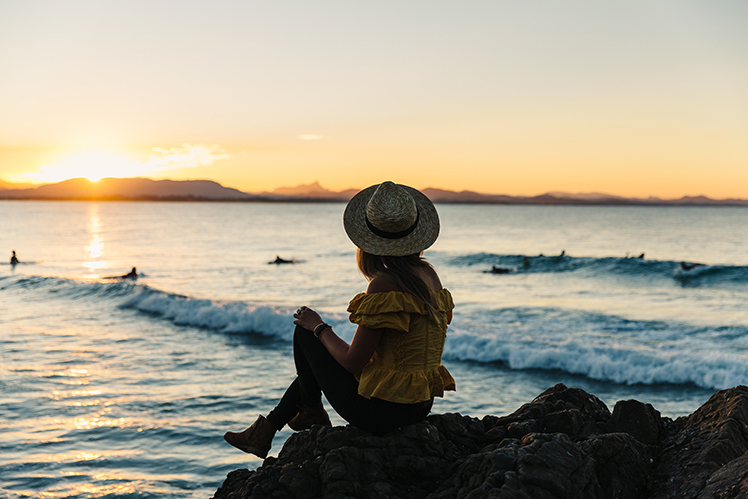 Hit up the famous Byron Bay lighthouse on the way. I strongly encourage you to get up for sunrise here. There is no way you will regret it. Head to Mount Mee for weekend walkabouts and a bushwalkers’ heaven. 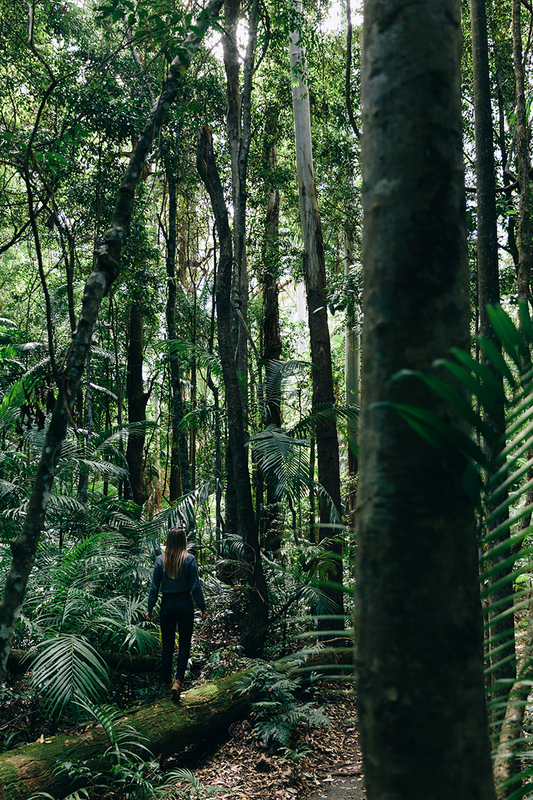 There is so much to do here: explore the woodlands, pockets of subtropical rainforest, remote gorges and spectacular views to Moreton Bay and the Glass House Mountains. Options for short or long hikes, that is totally up to you and your fitness levels. The perfect escape from city life. You’ll want to stop the car and take photos the entire drive through. At The Pinnacles you will feel like you have stumbled upon a lost world. 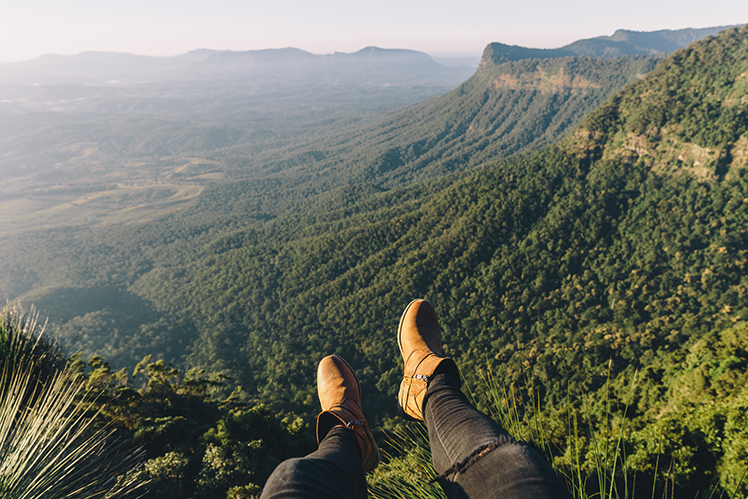 Come here for the uninterrupted views over the World Heritage-listed rainforest, the crater escarpment, Wollumbin (Mount Warning) and the Tweedy Valley. If you are anything like me you could spend the whole day in the Border Ranges National Park – block out the calendar and escape. Just a short stroll straight from the car park, there is a magical view waiting for you. Rug up and be here thirty minutes before sunrise so you can wake up with Australia. 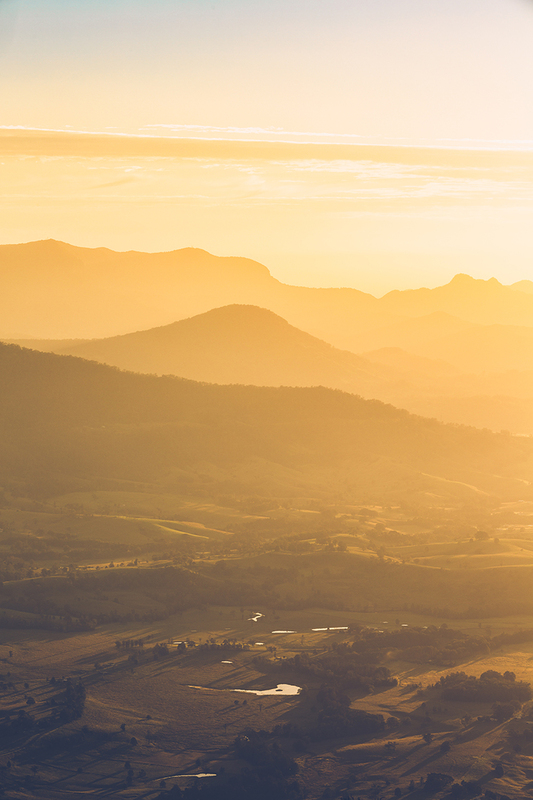 You will get to watch the first light hit the peak of Wollumbin (Mount Warning) and illuminate the valley below. Absolutely breathtaking. 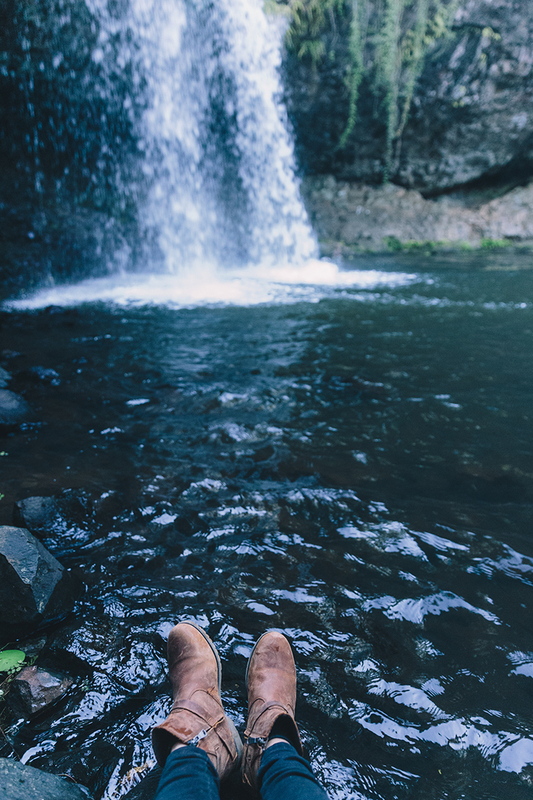 Melissa Findley hopped around Queensland and New South Wales in the trusty De La Vina Ankle boot, from the beach to the rainforest to the waterfalls. Shop the De La Vina Ankle boot for your next micro-adventure. We like to go everywhere, do everything. Keep up with us on our blog with stories of adventure, frills & wide-eyed wonder. 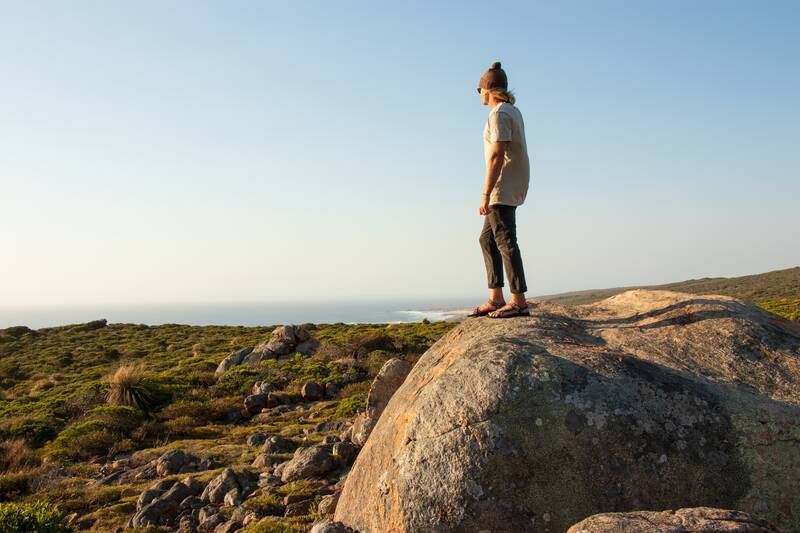 Travel bloggers Monique and Jasper from Salty Travellers head to Cape Naturaliste, WA for a breathaking hike along the Cape to Cape track.